Spotify, the world’s most popular music streaming service, today unveils “Firepower”, Bamboo’s latest single ahead of his upcoming album, Bless this Mess. The single, which is Bamboo’s first release after topping the charts with his breakthrough 2012 album No Water, No Moon, is set to take the former Rivermaya frontman to the next exciting phase of his career as one of the country’s most acclaimed artists. 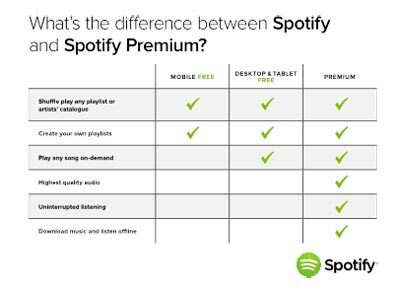 Globe customers can best enjoy Spotify with Spotify Premium, which allows users to play their favorite songs anytime, anywhere. With Spotify Premium, users can say hello to play on demand and goodbye to ads for a seamless music streaming experience. To register to Spotify Premium, text SP129 to 8888 for a 30-day access. Check out Bamboo’s newest single “Firepower” from his upcoming album, Bless This Mess, here. Follow Bamboo on Spotify here. Stay tuned for more exciting news featuring your favourite artists on Spotify by following @Spotify_PH on Twitter and fb.com/SpotifyPhilippines on Facebook.